This is informative website. 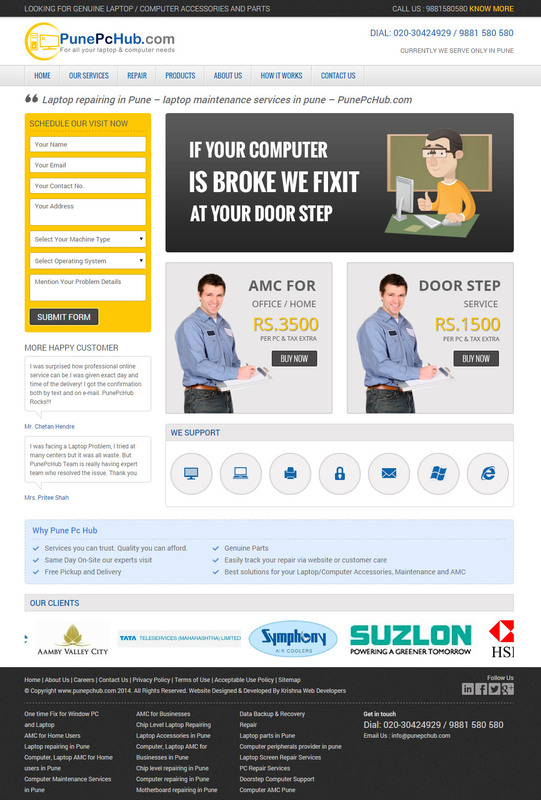 On this website client can find information regarding services offered by company, their policy, repairing policy, products to sell and for visit customer must fill enquiry form , clients lists, Happy customer reviews and contact page. Innovative Technology providing professional laptop repair, upgrade and support services to home users and small to medium businesses since 08 Years. Over a period of 8 years, many times customers are really facing problems for getting laptop peripherals and maintenance services, so they have started the www.PunePcHub.com, A online portal from where people can easily purchase laptop peripherals as well as maintenance services for their laptop and computers with great ease.